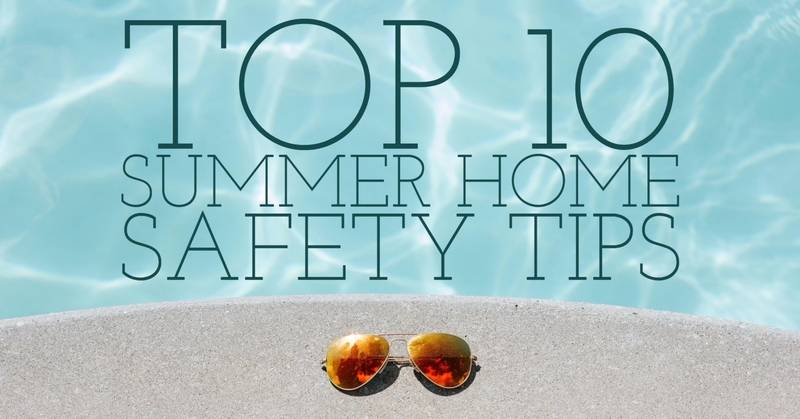 Now that the warmer months are here, it is appropriate to start to think of safety outside of your home. It’s natural for young children to want to explore their outside environment. Although there are far too many injuries that happen outdoors, many of them are preventable. Ensure Playground Areas Are Safe. Most injuries from playground equipment occur at a home, so it is important that you ensure that the play area is safe. Make certain that there is enough shock-absorbing material, that there are no attached ropes, that mounting hardware is safe, that openings are safe, that all elevated areas have means to prevent falls, and that the clothing children wear won’t catch on slides or other equipment. Water Safety. If you have a built-in or above-ground pool or hot tub, make certain that the child can’t get to it. Install safety fences between the home and the water feature. Install locks on doors and windows high enough so that a child can’t disable them. If you have a wading pool, drain it promptly after each use. Don’t leave utility buckets outdoors as water accumulates in these. All it takes is 1 inch of water for a child to drown. Make certain that everyone has been trained in CPR and that there is a cordless phone always available. Preventing Vehicle Accidents. With children playing outside on or near a driveway, it is easy for a child to get in the way of a vehicle backing up. Many minivans, SUVs and trucks have especially long blind spots behind the vehicle so it is difficult to see a small child. Always check behind your vehicle and pull out slowly. Preventing Falls. Falls out of windows and off of decks increase during warm weather months. Make certain upper level windows do not open more than 3 inches by using window stops, or install window guards. Never leave furniture near windows or decks. And make certain that no deck opening is greater than 4 inches wide. Properly Wear a Sports Helmet. Many children still do not wear a helmet when participating in a sport like bicycling, roller blading or skate boarding. And many times ones that do wear a helmet are not wearing them properly or snugly. Make certain that children and parents are wearing them properly at all times. Always Use a Proper Car Seat or Booster. This is a year-round requirement, but it is more tempting in the summer to allow a child to be out of a car seat or booster. Make certain that they are properly installed. When traveling by air, take your seat or booster with you. Never Allow a Child to be Left in or Play Inside a Vehicle. Every year, we hear of children that have been left in a vehicle on a warm or hot sunny day. The temperature inside can rise very quickly, even with windows cracked. Always take your children with you. And never let a child play in a vehicle or its trunk. Prevent Sunburns. Always apply sunscreen to children ages 6 months and older. Reapply it after swimming or sweating. Always use a sunscreen with an SPF of 15 or higher. Avoid being outside during the middle of the day. Don’t forget the sunglasses as eyes can be burned as well. Fireworks and Burn Safety. Never allow children to play with fireworks. Sparklers can also cause serious burns as their materials burn at very high temperatures. Barbecue grills are also very hot and are easy to reach by young children’s hands. Poisonings and Insect Stings. Make certain that your yard is clear of poisons, including fertilizers, weed killers, and pool chemicals. Remove any poisonous plants that may be in your yard. To minimize the possibility of an insect sting or bite, carefully remove any bee hives, wasp nests, and spider webs that may be near play areas. As always, it goes without saying that constant child supervision is a must. Let’s make summer a time for fun and enjoyment!